According to some of the reports from the French blog, MacGeneration, Apple Inc is finally updating the MacBook Pro 15-inch line with the latest Force Touch technology. The blog stated that the coming Wednesday is expected to feature the brand new updated Apple MacBook Pro 15 laptops on the Cupertino giant’s website. Apple a few months ago with the launch of the thinnest MacBook, upgraded the MacBook Pro 13-inch lineup with Force Touch. 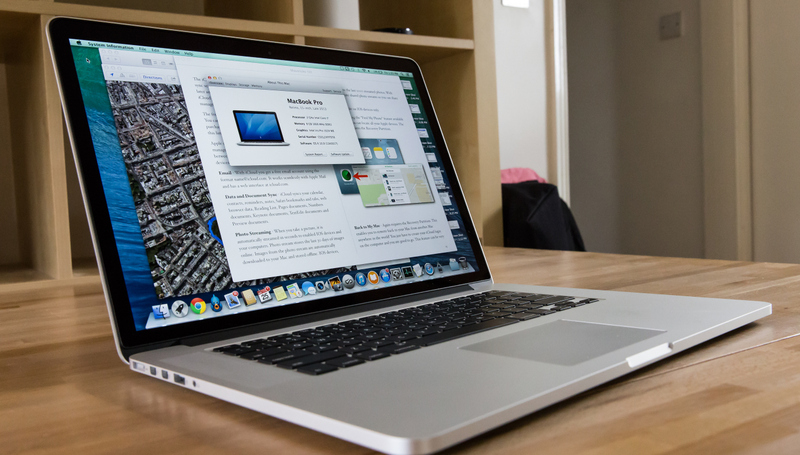 However, only limited MacBook Air and Pro 15-inch lineup to the processor upgrades. There have been no confirmed updates about exactly when Apple is going to update the 15-inch model with the Force Touch trackpad, however, the rumors and this reports suggests that it is going to happen anytime soon by the end of the month or in the first week of July. Apple Force Touch technology will enhance the work the professionals who prefer using 15-inch MacBook Pro. Several tools from the company itself, are now going to take the full advantage of this latest technology to provide a rich user experience and enhanced workflow. Currently, there are two 15-inch models available in the market, one with the 2.2 GHz quad-core Intel Core i7 processors, and 256GB of SSD and 16GB of RAM for the $1999. Whereas the top in the line model features a 2.5GHz quad-core fifth generation Intel Core i7 processor with 512GB of SSD, 16GB of RAM and NVIDIA GeForce GT 750M with 2GB of GDDR5. In the previous model, graphics is driven by integrated Intel Iris Pro Graphics. Apart from that, the new Force Touch trackpad is one of the greatest innovations from the Apple Inc, and there is an enormous difference in between this and the traditional trackpad. Apple Inc has added a new Taptic Engine for the users to feel the tap, and four pressure sensors on the corner to sense the pressure applied. OS X Yosemite has already been optimized to take the best advantage of the Force Touch trackpad in MacBook and Pro line-up.